If you use your home phone a lot, it makes sense to get an all inclusive bundle. A landline phone with Anytime Calls doesn't always give you the freedom to make as many calls as you like to UK home and mobile phone numbers. Find out more with our handy guide below. Anytime calls to UK landlines(01, 02, 03) and 1000 minutes of 0845/0870 numbers. The Bottom Line: You pay £21.90/mo for 12 months, then £36.00/mo. Free calls to UK local and national numbers anytime. The Bottom Line: You pay £31.47 the first month, then £21.48/mo for 11 months, then £32.48/mo. 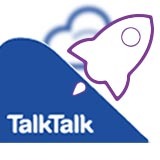 Unlimited inclusive calls to UK landline and mobile numbers. The Bottom Line: You pay £24.50/mo for 12 months, then £37.00/mo. Anytime calls to UK landlines, 0845 and 0870, plus 25% discount on calls to 35 international destinations. ‘Anytime (Inc mobiles)’ deal also includes calls to standard UK mobiles. The Bottom Line: You pay £25.00/mo for 12 months, then £31.50/mo. Free anytime UK 01.02 and 03 landline calls. The Bottom Line: You pay £25.70/mo for 12 months, then £31.70/mo. The Bottom Line: You pay £25.90/mo for 12 months, then £40.00/mo. Inclusive anytime calls to UK landlines and standard mobiles, 7 days a week. The Bottom Line: You pay £25.99/month throughout the 18-month contract.